Makeup base might not be included in everyone's makeup routines but it surely could be used to get a certain finish. In this case, LAQLANC launched a makeup base, which I bet you could guess from its name, to achieve dewy look Koreans love very much. Well, does this makeup base work as well as other LAQLANC's products? Fine pearl and jewel powder reflect light and makes your skin glows from the inside. Jojoba seed oil, honey extract, grape extract, and hyaluronic acid moisturize the skin and produce naturally radiant and bright skin. Smooth blur effect to conceal skin flaws for smooth skin. 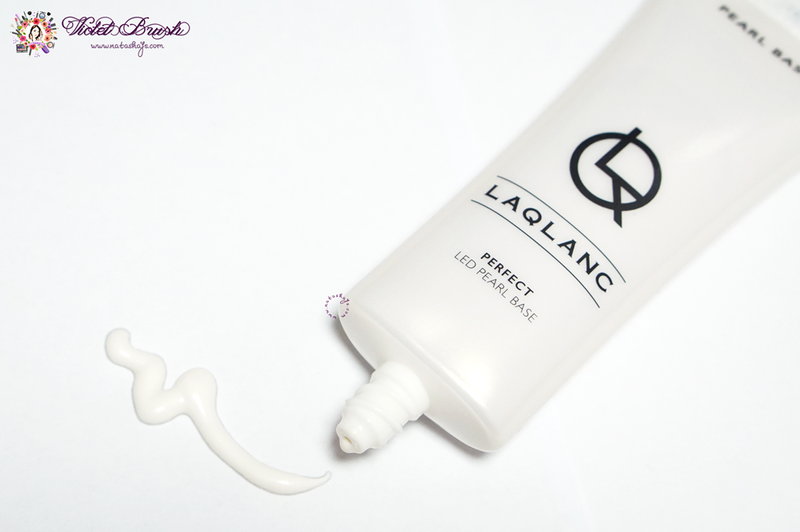 LAQLANC's Perfect LED Pearl Base comes in a thin tube similar to LAQLANC's Weightless Perfect Cover Fit BB Cream. Only, this pearl base has shimmery tube body and slightly larger opening. You have to be extra careful when squeezing out the product because besides the opening is slightly larger, the texture of LAQLANC's Perfect LED Pearl Base is also more aqueous and runny. LAQLANC's Perfect LED Pearl Base is a white makeup base with pinkish shimmer. Given its aqueous texture, it blends easily so a little does go along the way. 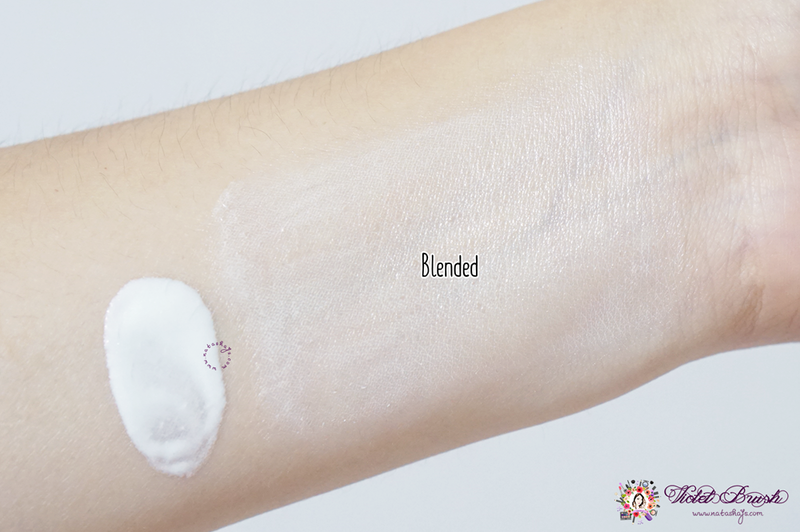 Once blended, it has brightening effect with unexpectedly natural glow. I was kinda intimidated by the shimmer at first but surprisingly, it blends out pretty natural and nice. 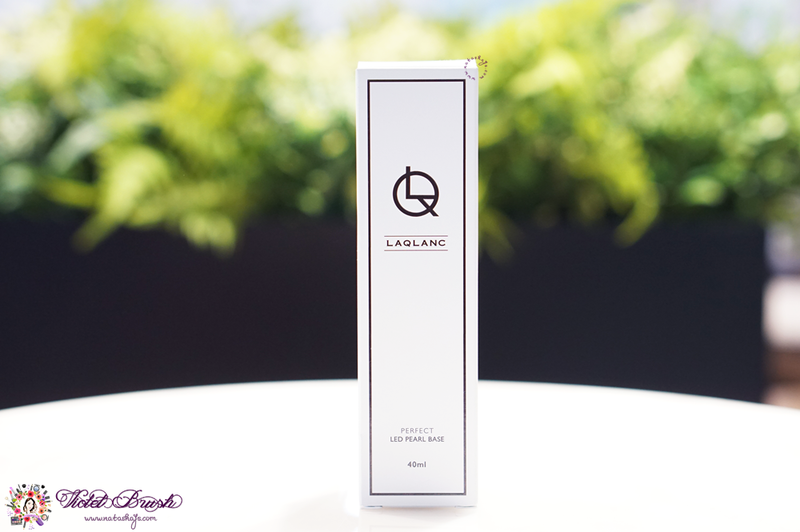 As a makeup base, LAQLANC's Perfect LED Pearl Base has a smooth blur effect, like it claimed, which minimizes appearance of pores and making your skin looks smoother in general. I used it together with LAQLANC's Weightless Perfect Cover Fit BB Cream and this pearl base helps the BB cream to stay longer on my skin without crack or "fading". Overall, this pearl base is very lightweight on the skin and is nice to be used as a highlighter too, if you're not fond of dewy or glowing skin. Not only as makeup base, I love to use this pearl base as highlighter instead. Join my giveaway here to win this pearl base! I appreciate it a lot and do leave your blog link so that I can return the favor.